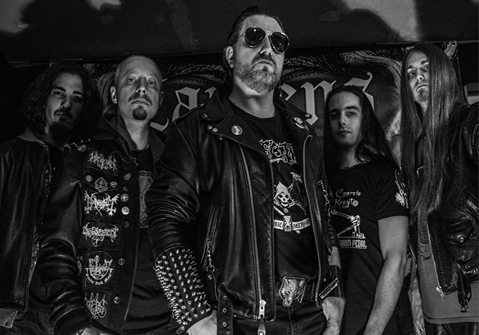 Zardens is the melodic black/death metal brainchild of former Ex Delirium and Moribund guitarist Warnacht. Based in Belgium, the band formed in 2008 and released their debut full length album, Breeding the Dark, in 2012. The band’s follow up, Blackness Unfolds, was then written, recorded and ready for release in 2013, but an unstable lineup (read: Warnacht cleaning house) left the album shelved until April of 2015, when Satanath Records and Death Portal Studios teamed up to release a run of 500 copies on CD. 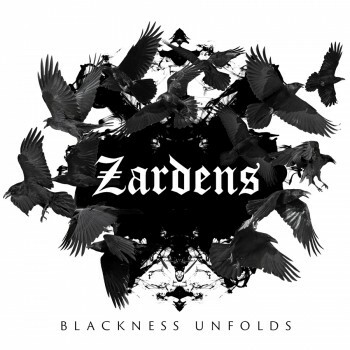 Bringing a merging of classic melodic black/death metal a la Dissection or Lord Belial with the technicality of slightly modernized black/death metal, Zardens brings a sound that is familiar and nostalgic but refuses to sit contently within preordained scenes. A majority of Blackness Unfolds sounds eerily similar to the classics of the previously mentioned bands, with swaths of melodic trem riffing like on “Sadness” and cold, frost-bitten riffing like during “The Berserker”. This is where the band kicks in with the modernized touches, keeping from being a complete knock off of the sounds of old. Tracks like “Empty” and “Afterlife” bring an amalgamation of that more pulsing modernized sound with the frosty, minor key riffing of the second wave. It’s a satisfying combination, rooted in the virile traditions of old with enough modernity to not sound completely stagnated. The production is clean and crisp, even allowing some flowing bass lines to be prominently staged, especially during the slower, atmospheric tinged movement on “Lifeblood”. The vocals are a little deeper and throatier than most acts of the same style, resulting in more of that lean towards a modernized black/death sound. Blackness Unfolds is still rooted in cold and frosty second wave histrionics but it keeps from being just another bland aping of past glories. The bottom line is that this album is full of melodic trem riffing that would make Jon Nödtveidt proud. With the recent lineup overhaul, only Warnacht remains from the musicians on Blackness Unfolds. The fact that this was slated for release two years ago shouldn’t change a whole lot: being that Warnacht is the driving force behind the band, one would assume that the lineup shakedown won’t drastically change anything, but time will tell. Regardless of what’s to come, the latest effort from these Belgian melodic black/death metallers is a solid effort that both relishes in the days of yore and strives to break free from the humdrum pack of Darkthrone clones. This entry was posted in Reviews and tagged Belgium, black metal, Blackened Death Metal, Blackness Unfolds, Death Metal, Death Portal Studio, dissection, Lord Belial, melodic black metal, Sacramentum, Satanath Records, Zardens.